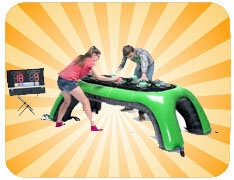 Our Interactive Play Table will bring hours of fun to your event! It features Interactive Play System's portable play system and score board. No power is needed as it uses internal batteries! It can be played anywhere. It features 3 fun games. It is like a large version of Simon. See how fast you can touch your team's color as you try to rack up the most points to win! 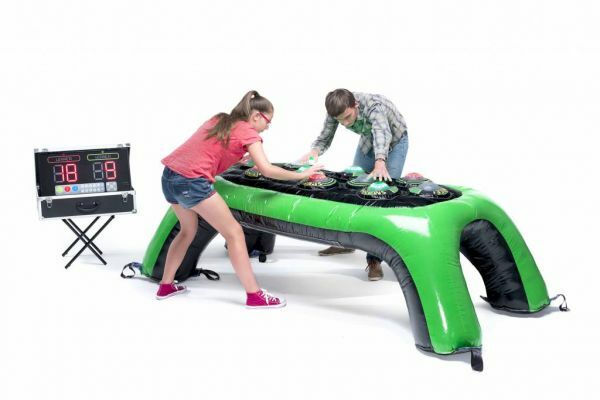 The inflatable table is 4 feet wide by 8 feet deep.